Jennifer Lawrence Can Now Say Whatever The F%@# She Wants! Sony Pictures Classics took North American rights to the latest film by Woody Allen, starring Alec Baldwin, Cate Blanchett, Bobby Cannavale and more. Also in Tuesday's news round-up, Australia's Academy picks its nominees just two days before the Oscar noms; the Domestic Box Office hits a record; Mark Romanek is exiting Cinderella; and R.I.P. director David R. Ellis. New York was central to most of Woody Allen's film career until he headed to Europe in the mid-2000s, with features set in London, Paris, Rome and Barcelona, but if some Allen fans have their way, he'll be shooting in Israel. Now that he has To Rome With Love making its way to screens in the U.S., the Oscar-winning filmmaker is reportedly headed to San Francisco for his next project, which will star Alec Baldwin, Cate Blanchett, Bobby Cannavale and curiously, Andrew Dice Clay. But if a group of L.A.-based Jewish campaigners have any say, his follow-up will be in Israel and they're looking to put their crowd-funding wares to the test in order to lure Allen to film in the Jewish state. It's going on seven years since Brokeback Mountain brought cowboys and leading men out of the closet - even if they weren't exactly gay. But still, man on man snogging sessions still make some headlines as was the case recently with 30 Rock star Alec Baldwin and actor Russell Brand who share make-out time in the forthcoming Rock of Ages. The thing I love about the ramped-up new Rock of Ages trailer is how unapologetically it states what this movie is: A bombastic, cheeky, kitschy, bright-eyed and utterly slick tribute to the decadence of '80s rock culture, based on the even slicker Broadway hit of the same name. Which of course you already know — but now, with Tom Cruise's brief singing showcase and pretty much everyone else warbling adapted pop show tunes of their own, Warner Bros. and New Line's cards are on the table. There can be no ambiguity: You are either in or you are out. In this era of equivocation and overlapping quadrants and being everything to everyone, it's pretty ballsy when you think about it. If you enjoyed watching Liam Neeson battle territorial wolves in Joe Carnahan’s The Grey — and plenty of moviegoers have — then you'd be well-advised to look into Lee Tamahori's 1997 thriller The Edge. Starring Anthony Hopkins and Alec Baldwin and perhaps best characterized by screenwriter David Mamet's trademark clipped dialogue, the film is an unusually strong entry in the survival-story tradition — and one to which The Grey owes at least a spiritual debt (if not more). Now hear this! 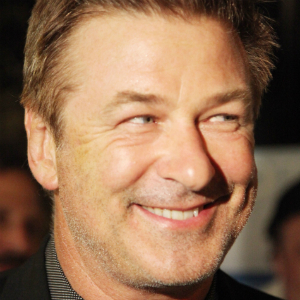 No, seriously, hear this: Alec Baldwin has a new WNYC podcast called Here's the Thing, which will comprise a series of conversations with the actor's Hollywood peers and other cultural luminaries (including "makers of public policy, critics and comedians") about "what motivates them" and "how [...] they feel about what they do" -- among other things. The first episode, which you can listen to below, feature Michael Douglas and is pretty much just as awesome as you'd imagine.